The Icelandic people are laidback. Very laidback. It makes for a great atmosphere to hang out in, but it can also be frustrating at times. They are not very forthcoming with information, and trying to get answers can be like trying to get blood out of a stone. Booking excursions was a bit of an effort, all they wanted to know was a rough number of how many people wanted to go about an hour before the bus departed. In most countries, they would have jumped on the sale straight away and had me signed up for one, if not two, different excursions every day of my stay. The laidback approach of the Icelandic also affects their organisational skills. 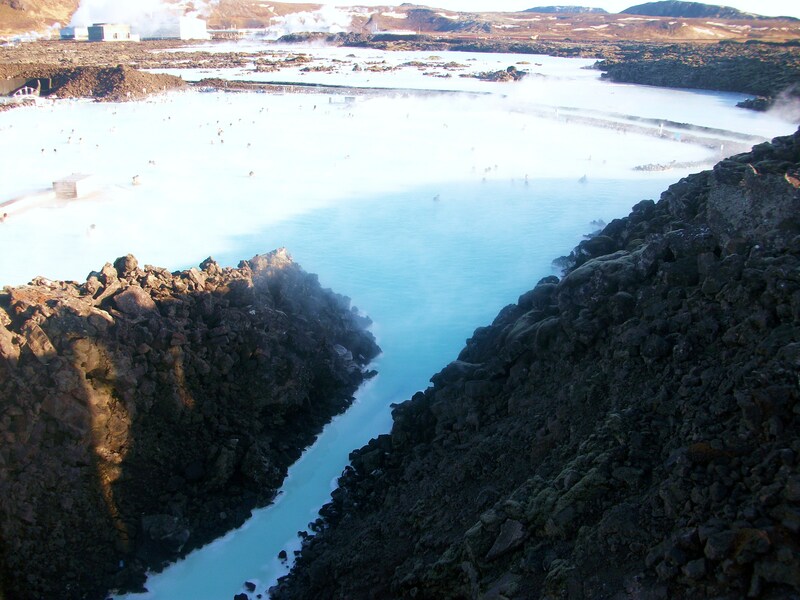 One of the excursions I really wanted to do, and was eventually able to book, is the Blue Lagoon. The two main bus companies on the island have regular transfers to and from the Lagoon, and the receptionist at my hostel told me to inform the bus driver which transfer I wanted to return on. However, when I asked the driver he said ‘You don’t have to book, just turn up. The buses are 2pm, 4pm and 6pm’. Having worked in the travel industry, this seemed like a crazy way to do business to me. What if everyone decided to return on the same bus? They had no way of knowing how many people were going to turn up. Lo and behold, at 4pm, the owner of the company arrived driving a MINIBUS, and it was clear that we weren’t all going to fit on. As luck would have it, the other bus company had one spare seat, which they gave to me, and our driver paid their driver 1000 kroner cash to take me back to Reykjavik. If the same thing were to happen where I used to work in Greece or Austria, the tour operator would be horrified at the possibility of having to leave someone behind. But hey, this is Iceland, and that’s how things are done here. It’s a bit disorganised, but a solution always seems to present itself. After spending four hours in the Lagoon, I was way too relaxed to argue anyway. The Blue Lagoon is by far the most touristy place I encountered whilst in Iceland. Three or four coaches arrived at the same time, and I had to join a huge queue at the entrance. ‘Oh great’, I thought, ‘it’s going to be packed inside’. It was also the only place that I saw prices quoted in euros. I’m not quite sure why they do that, though, as when I went to pay the lady she charged me in kroner anyway. 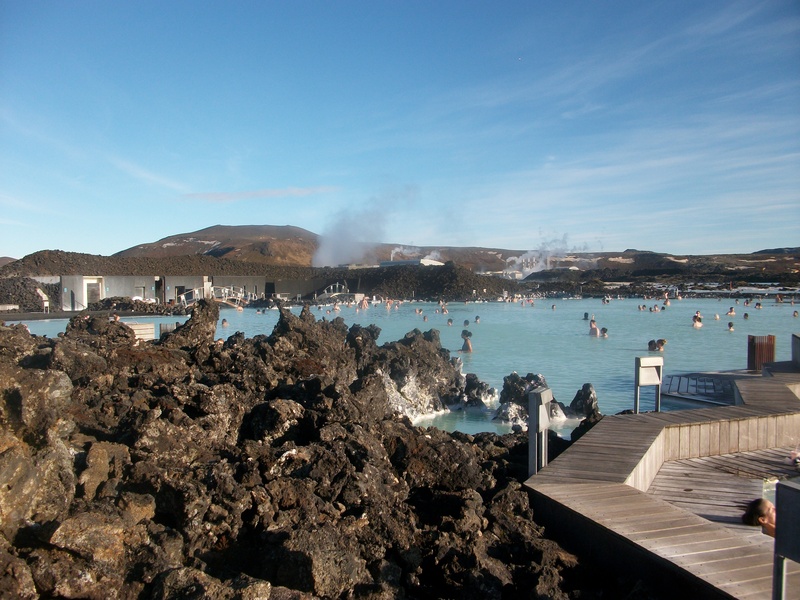 The Lagoon is the most expensive attraction in this part of the island, but it is definitely worth treating yourself. My worries about it being too busy soon faded, the Lagoon is so big that there is room for everyone. This may make me sound stupid, but I didn’t realise that the Lagoon is actually blue. You can’t see through the water at all, which didn’t do anything to help my phobia of not being able to see what I’m standing on. I tried to swim as much as I could, but the swimming costume I rented was a bit too big and I couldn’t be bothered to go back to reception to swap it, so I was also trying to hold that up at the same time. To be fair to the lady on reception, it’s probably really hard to guess someones dress size when they’re wearing four layers, a hat, gloves and snood. In contrast to the freezing temperatures outside, the Lagoon is really warm. There is no control over the temperature as the water comes from the geothermal springs and the power plant next door, so jets of almost unbearably hot water will suddenly cross your path and wake you up a bit. It’s also the only time I’ve ever seen a lifeguard wearing padded trousers, a padded high-visibility jacket, work boots, thermal gloves, a scarf and a hat. I did hear one lady question what use he would actually be if someone got into trouble in the water. Down one side of the Lagoon there is silica that you can put on your skin to use as a face mask, or if you really want to spoil yourself you can book a treatment in the spa pool. Right in the middle of the Lagoon is a bar that sells refreshingly cold drinks, and everything is paid for with electronic armbands to make it super easy. 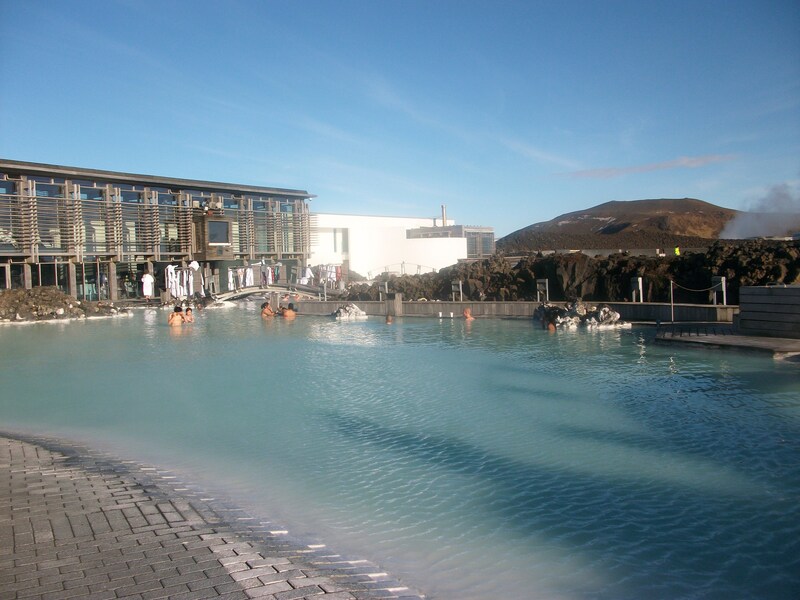 In stark contrast to everywhere else I went in Iceland, the Blue Lagoon is actually really well organised. It had the feel of being in a really nice, private health club, with staff on hand to help you at all times and luxurious little touches like mineral spa shower gel and conditioner in the showers and fluffy white towels and dressing gowns.